Recently one of the missionaries with whom I work as Director of Deaf Ministries for Baptist International Outreach had a wonderful conference. While I did little more than help make a couple of minor decisions going into this conference and bathed the weekend in prayer, I am very excited that God used my small part to accomplish His task. 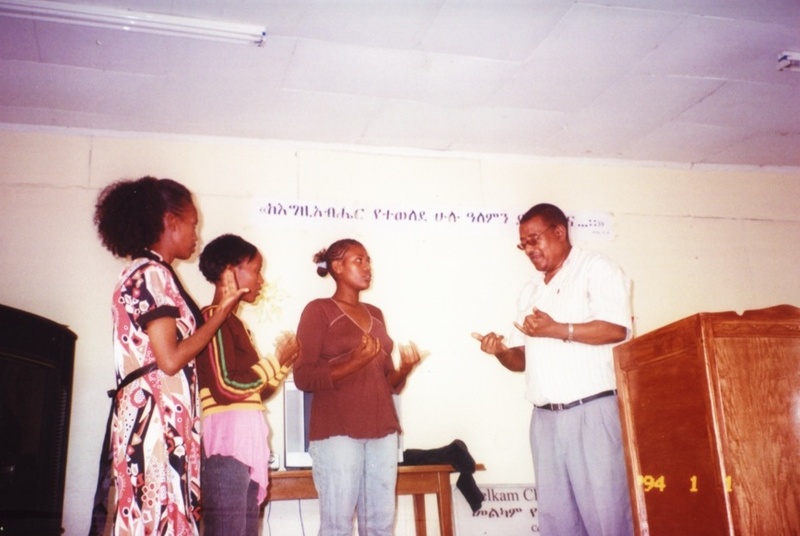 Bizuayehu Assefa is an Ethiopian deaf man who works with BIO in Addis Ababa. 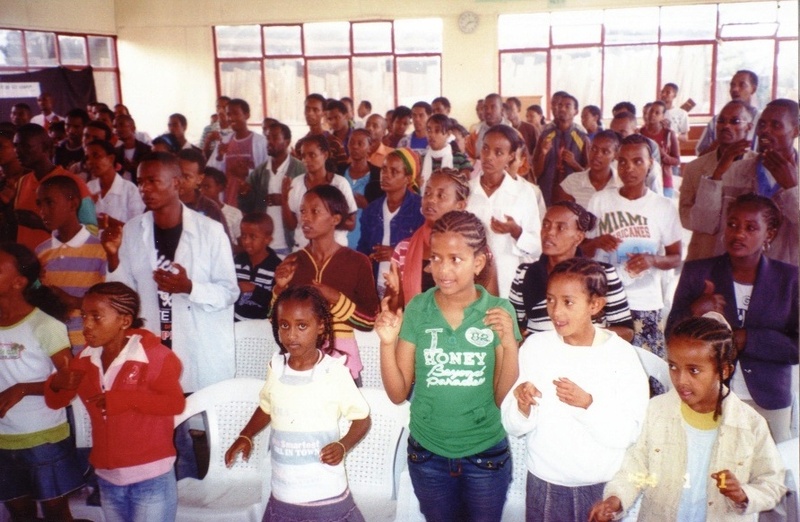 Each year one of the ministries he pastors hosts a conference for the Deaf in Addis Ababa and the surrounding region. This is an evangelistic time as well as a time of fellowship. Even though it is just 3 days, I imagine it is every bit as packed as a week of Deaf camp. Bro. Bizuayehu (we call him Biz for short) organized the weekend in which they had about 250 Deaf attend from 11 different cities or villages. There were 15 saved over the weekend. Bro. Biz has asked for continued prayer as they are now involved in discipleship of these new believers. Already they have baptized 6 of the recent converts. This conference took place about three weeks ago and when Bro. Biz wrote me to tell me the results, I became very emotional with the thought that though I could not be there in person to work in the conference, I am able to be on a team that accomplished this great work for the Lord. It struck me at that time that pastors and individuals who support missionaries doing their work around the world get to have the same involvement as I did in a project such as this. You may not be able to directly help a conference like this by cooking a meal or preaching a sermon in Addis Ababa, but through your prayers and financial support of our family you are involved in a real way in the work that the Lord uses us to do.